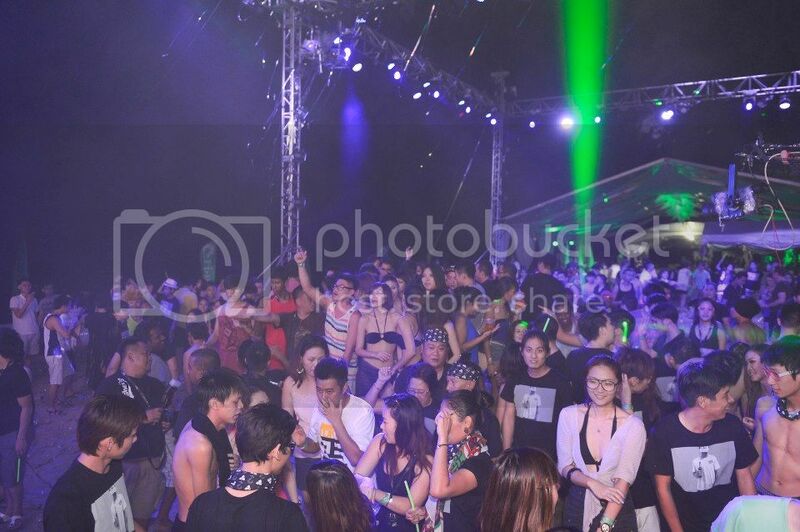 Stephanie Lim: Where’s The Party? 2012 presented by Carlsberg Malaysia. Where’s The Party? 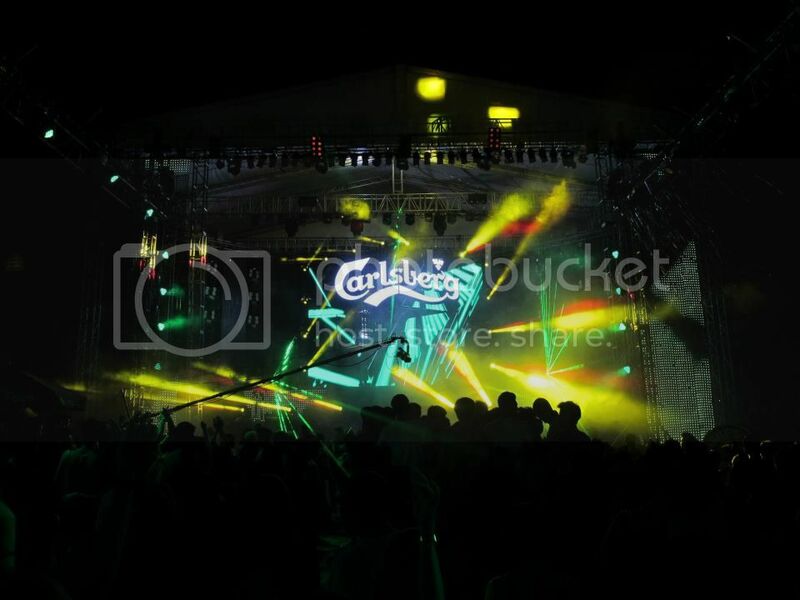 2012 presented by Carlsberg Malaysia. So I was invited to attend the third installment of Where's The Party? 2012 presented by Carlsberg Malaysia! Where's The Party? 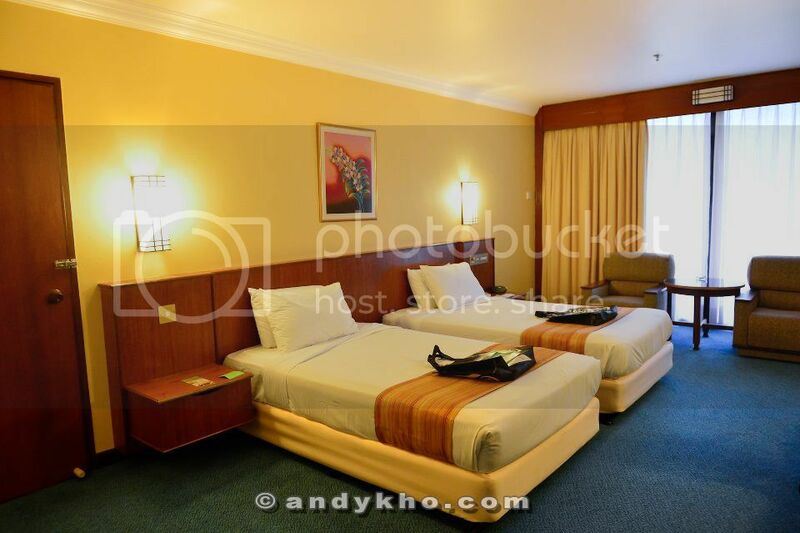 is famous for keeping the party location a secret until party goers arrive at the party location. I guess it is a never a dull moment with Carlsberg! This time round I was super excited as it is my second time attending this said event. I kept guessing where the party will be held this time round, all that guessing and figuring out where it was, oh well just waited for the secret e-mail with the tiny tiny deets for the event. Early Saturday morning, I headed to the Carlsberg Brewery in Shah Alam, which was the meeting point for all to the secret location. When I arrived, there were already busses aligned for the journey. We all had to register ourselves, where I bumped into loads of familiar faces. Me and Yvonne got comfy at the back of the bus, all ready and set to head to the meeting point which was Queensbay Mall, giving us slight hints that the party would take place in Penang, hmm so which part of Penang is it gonna be at? It felt like we were on a road trip hehe. While Tim and the other girls decided to drive up North to the meeting point in a comfortable 7-seater MPV by Honda called the Stream RSZ. There were bathroom stops along the way and rest time for us to head down to get some snacks and freshen up, really thoughtful of Carlsberg for providing us with a yummy lunch box to fill our tummies! We finally got to Queensbay Mall, and boy did Carlsberg pull a traffic stopper. With police escorts and so on, after signing in and such we were ushered to the secret location, still unknown to us we travelled on the road less taken, literally. We did a little tour around the island till we finally reached Bayview Beach Resort. It was finally revealed that the party is taking place at the shores of Hard Rock Hotel's beachfront! What an impressive place to have a party! Checked into our rooms and it was huge with two single beds for me and my roomie Yvonne and goodie bags filled with a tee by Pestle and Mortar, flipflops and funky glasses! Then we headed for the press conference located at Hard Rock Hotel. All the acts were unveiled during the press conference! Kelis was one of them and I was so stoked! The aura she had when she was walking in, all heads turned. I managed to get a picture with her! She was really friendly and nice too. Group shot of MHB with the girls from Love Cubic, all the way from Korea. During the press conference, we were reminded of the Responsible Drinking campaign by Carlsberg. Carlsberg Malaysia has ambassadors that will distribute brochures regarding drinking responsibly. Other than that they encourage consumers to test their Breath Alcohol Content (BAC) as part of the effort in increasing awareness and knowledge on the importance of responsible drinking. With an ongoing party like this, every one of us should be aware of our drinking limits and to those who is driving, they definitely need to have their alcohol limit in-check. Other than that, the other acts for the awaited party was announced! Local DJs Twilight Action Girl, DJ Nikki, Mad August, Rubberband, Love Cubic, DJ Inquisite, DJ Norman Doray, DJ Mayumi and of course, Kelis. After that, we then headed to the beach to get the party started! Look at the amazing stage setup, it was seriously one of a kind, for a beach party. Then there was food-stalls located at the back, right behind the chill-out zone where all of us had our dinner. The food was amazing! From chicken rice, to fried oysters and all the famous Penang food! yummms. Us and our chicken rice! With a glass of ice cold Carlsberg I was ready to go! With awesome hosts such as Joey G and Patricia to entertain and amping up the crowds atmosphere. The crowd was all in the party mood already. People were dancing, drinking, laughing and chatting away, it was definitely a change of environment. Twilight Action Girl kicked of the party with their unique sounds keeping guests entertained. While DJ Nikki was playing at the chill-out zone. The crowd really went wild when Love Cubic was performing on stage. Singing and dancing along to famous K-Pop hits from PSY's Gangnam Style to Girl Generation and so on. 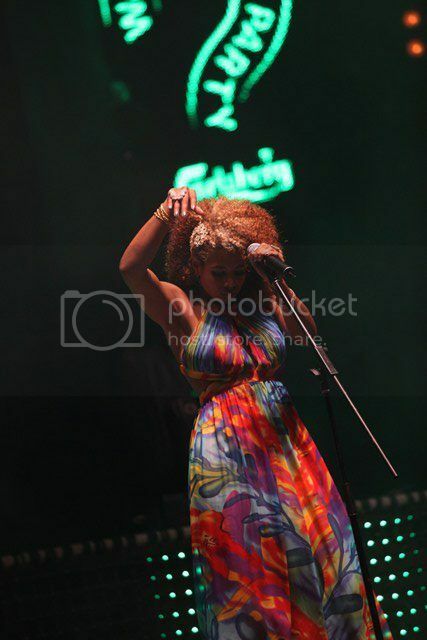 Then it was powerhouse, Kelis time to perform. She sang her hits like Milkshake, to Bounce and so on. I was dancing and singing along with my girlfriends. The amount of party people at Where's The Party? was overwhelming. With 1,200 guests from Malaysia, Singapore and even Hong Kong! The night ended at 3am. I really partied my guts out as I couldn't feel my feet after. Headed back to the hotel, which was just next door and had a wonderful sleep, skipped dinner and then met downstairs the next morning. Me and Andy, waiting to check out. Last but not least a group shot with the lovely girls from MHB and Chuckei from Nuffnang. An awesome exciting trip/party/event by Carlsberg Malaysia. It was definitely one to remember! Till the next one in 2013! Nice posting this blog. I also saw your photos in your Facebook. 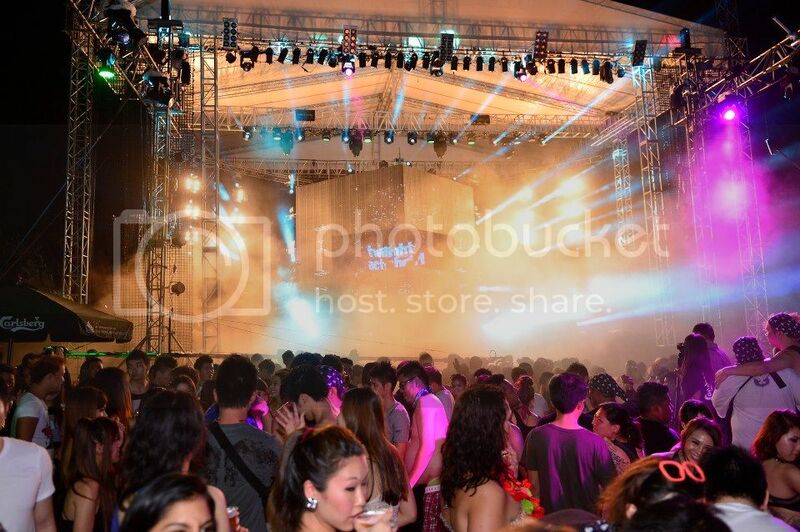 Awesome party by Carlsberg in Malaysia. Hello Liang, yes it was an awesome party! Aww that's nice thanks!